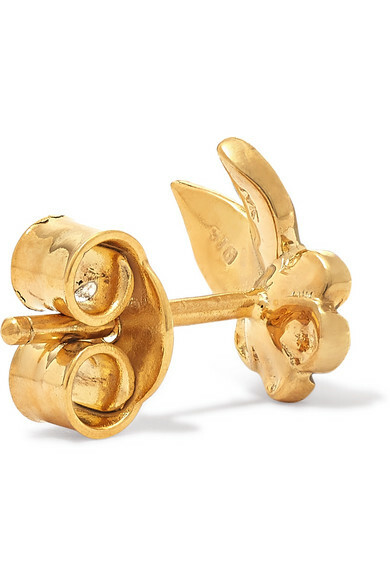 Worn by Lorde, Rihanna and Zoë Kravitz, Meadowlark's jewelry is carefully handcrafted in the label's atelier using precious metals. 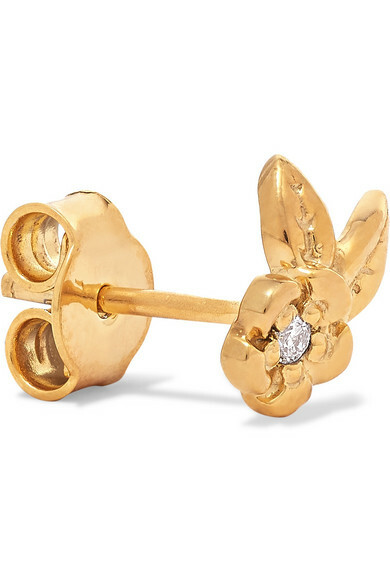 Cast from gold-plated silver in the shape of flowers, these dainty earrings are set with sparkling diamonds in the center. Complete the set with the matching necklace. Shown here with: Deitas Blouse, Saskia Diez Earrings, Meadowlark Necklace.